The school year is almost at an end, and the chocolate sale is ancient history. But no one at Trinity School can forget the Chocolate War. Devious Archie Costello, commander of the secret school organization called the Vigils, still has some torturous assignments to hand out before he graduates. In spite of this pleasure, Archie is troubled that his right-hand man, Obie, has started to move away from the Vigils. Luckily Archie knows his stooges will fix that. But Obie has some plans of his own. Robert Cormier has written several highly acclaimed novels for young adults and received numerous awards, including the ALA Best Book for Young Adults, ALA Notable Book of the Year, School Library Journal Best Book of the Year, and a New York Times Outstanding Book of the Year. Mr. Cormier lives in Leonminster, Massachusetts. 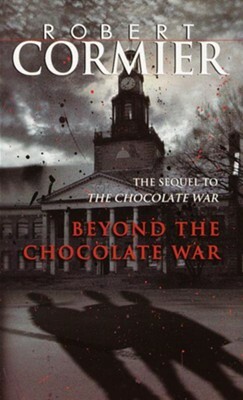 I'm the author/artist and I want to review Beyond the Chocolate War - eBook.